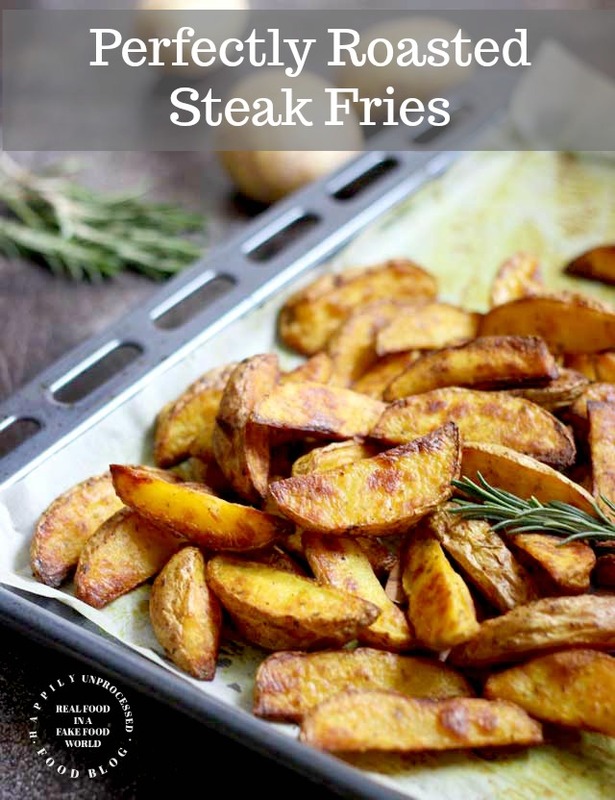 Perfectly seasoned and roasted Yukon potatoes make the best thick and crispy steak fries. 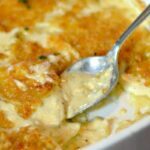 They are an easy side dish for most any entrée – serve with ketchup or a dipping sauce on the side. Steak fries are thick wedges of potatoes that have been roasted at a high temperature to a crispy perfection. Because steak fries are thicker than regular french fries, they require just a little more attention to get the ideal crispy outside while maintaining a soft inside. I find that the best steak fries aren’t fried, but are better off oven roasted. 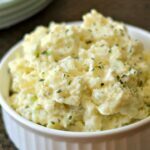 They are an easy side dish to burgers, steak, chicken or fish. 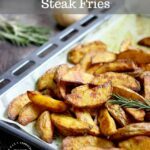 What are The Best Potatoes for Steak Fries? Only Yukon Gold potatoes will do for thick steak fry wedges. 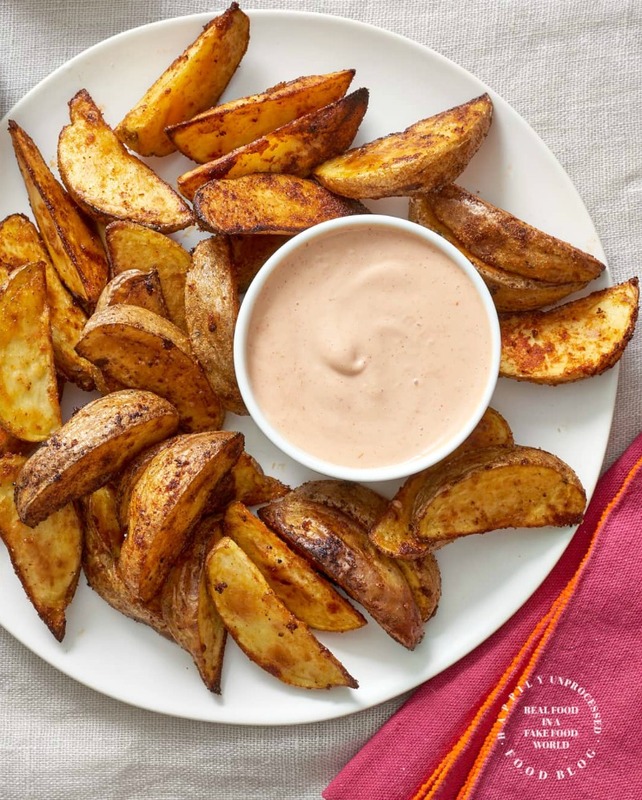 Yukon Gold’s thin skin allows the potatoes to be cut into wedges unpeeled as they beautifully crisp up in the oven. Russets become too flaky in the middle and burn easier when roasted at a high temperature. But the best part of Yukon Gold potatoes are their tender, sweet flesh which bakes up into the creamy and dreamy inside of these steak fries. 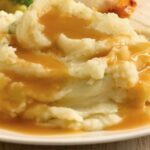 Look for four medium potatoes that are comparable in size and shape. Longer potatoes make for more slender and crispy steak fries. I prefer shorter ones myself. Cut the potatoes into even wedges lengthwise. Cutting into wedges gives you only two sides to worry about. Line a baking sheet with parchment paper (or foil). Since we are leaving the skins on you want to be sure to wash (scrub) the potatoes thoroughly to remove any dirt. Don’t crowd the potatoes. Make sure one of the cut sides is touching the pan. You want to be somewhat generous with the oil but not overdo it. For a 15 x 10-inch rimmed baking sheet, I use a little less than a 1/4 cup. A temperature of between 375° and 385° will give you the best end product. 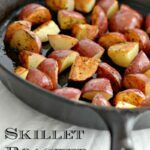 The potatoes are able to cook in the middle while still becoming crispy on the outside. Always put the baking sheet on the middle rack so the spice blend does not burn. Preheat oven to 375° F – line a 15 x 10″ baking sheet with parchment paper (or foil). Set aside. Combine all the spices in a large bowl. Add the scrubbed, dried and cut up potatoes. Drizzle the oil all around (use less if they are fully coated). Spread the potatoes out on a baking sheet, making sure each potato wedge has a cut side touching the pan. Roast for 25-30 minutes. Flip and bake an additional 25-30 minutes.